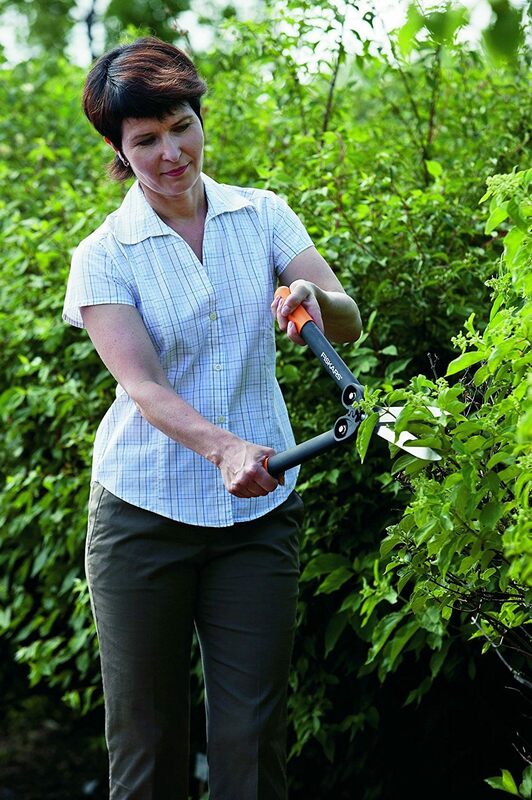 The Fiskars brand is a popular choice for many UK buyers. It is perhaps much better known in the forestry world, rather than tools used in the domestic market. That is because they make fantastic equipment such as hatchets, axes and wood splitters. These are excellent products which are tough and long lasting. It should be no big surprise then to see them making garden shears. Brands like Spear and Jackson, Wilkinson Sword and Draper still dominate the UK market though. That said, the PowerGear HS72 shears are an excellent set of hedge shears, designed to be tough and ensure many years of straight cutting. Fiskars are a company based in Finland and have been established since 1649. Their tools are known for their high quality and durable nature. These are ideal for all the grass and hedge trimming requirements around the garden. These are a good choice for people who need some help with cutting or trimming. That is because they have the gears, which turn a stroke into three times the power. If you would like to see the features and benefits of using the HS72 model of hedge shears, then the short video below is well worth a watch. When I am doing any review, I spend a lot of time reading what people who have actually bought and used the product have to say. I read many reviews online, at various gardening and product websites, to get a good general consensus, of what buyers really have to say. Overall when all the reviews are looked at, buyers have these shears an average 86% buyer satisfaction. Fiskars do have reputation for producing high quality tools. These shears overall get very good reviews. The majority of the reviews are positive, though a few people complained there were hair line cracks appearing. The general opinion though is that, overall they cut easily and efficiently, and are built to last. If however these are not the shears for you, then please click here to go to my top 10 buyer rated list of hedge shears in the UK. The buyers said that these are designed for general domestic gardening. They trim grass really well, are very good at cutting hedges, and are also good at cutting back bramble and small shrubs. Avoid using these to try and cut thicker branches. They are not designed to do that and if you try, it will damage the blade sharpness, and likely damage the gearing structure on the shears.